MAXQDA is a powerful qualitative and mixed methods research tool. 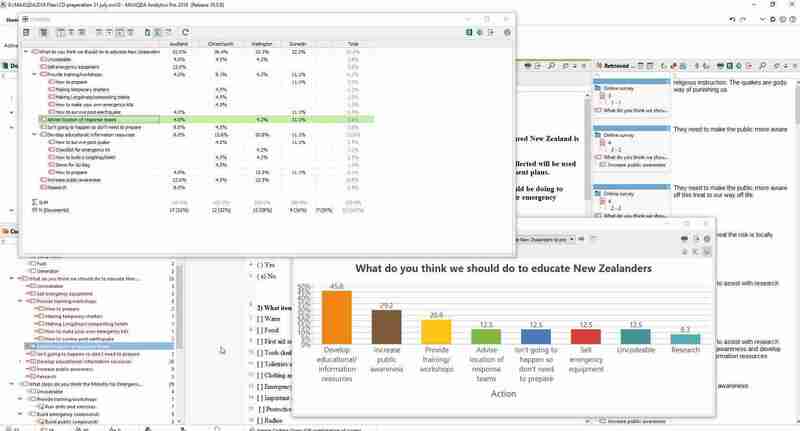 MAXQDA is an ideal tool for councils and government agencies to analyse and report data collected from consultation and engagement projects. 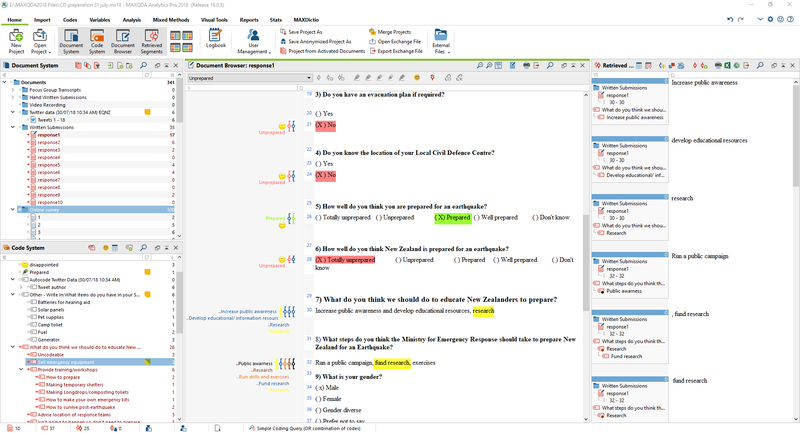 MAXQDA is powerful enough to analyse and code thousands of consultation responses. 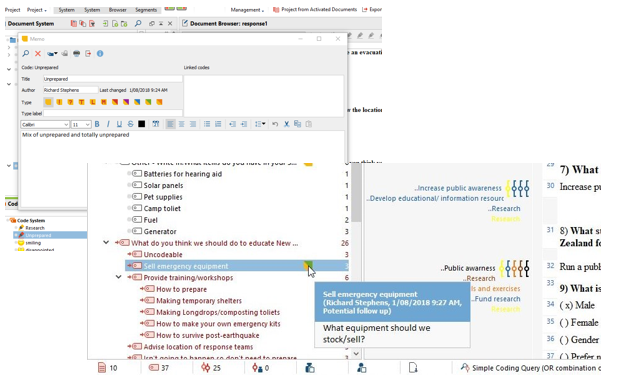 PublicVoice provides full training and support for MAXQDA. Swamped with too much data? Our MAXQDA trained researchers can help out and analyse all or some of your consultation data. Just contact us for further information or live chat with us now. 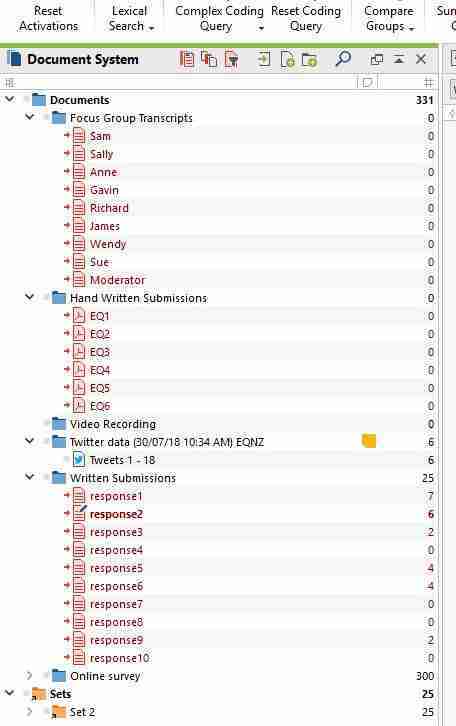 Check out the example below to see how MAXQDA can help manage and analyse submission data for your next consultation project. MAXQDA also supports audio, images and video. 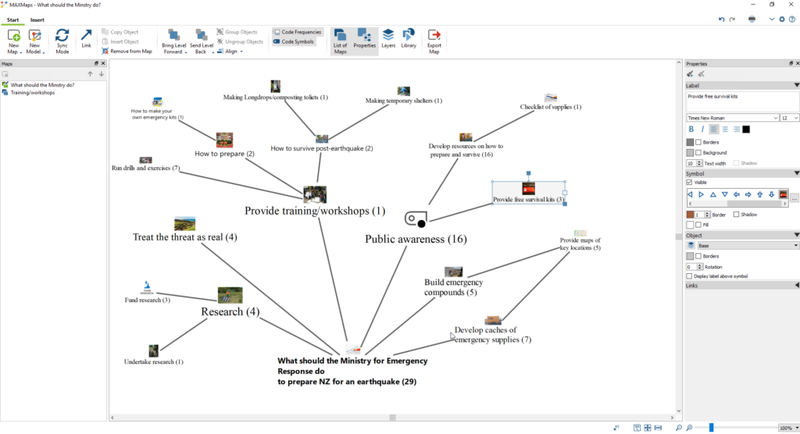 This means you can analyse recordings from focus groups and mindmaps from breakout sessions. Survey data can be imported from Excel or directly from SurveyMonkey. MAXQDA lets you identify all qualitative and quantitative variables you would like to code. Social media has become a large and rich source of informal commentary and feedback. Both Facebook and Twitter comments can be imported and analysed. Facebook comments can be imported via Excel and there is an inbuilt tool to capture and import tweets. Not only is the data organised into format but by using drag and drop you can further organise your data into sets. Some of our data has been organised into sets based on location. MAXQDA is the same for Windows and Mac meaning you are able to share and work on the same project files. 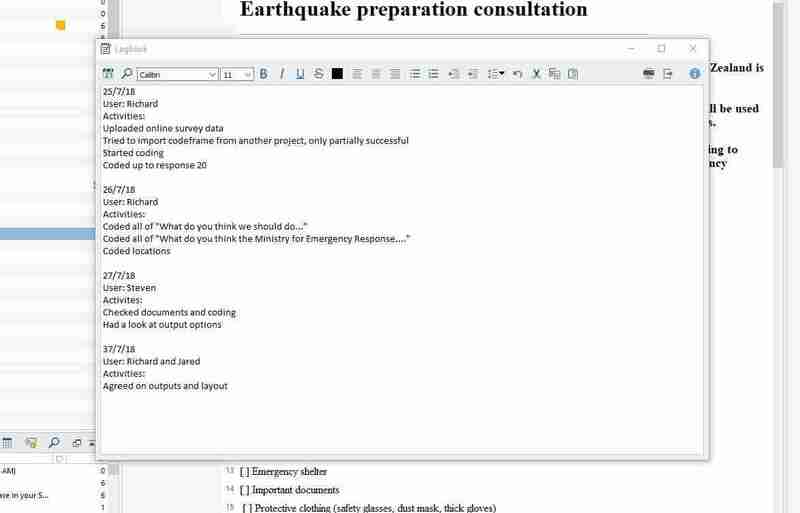 Below is the user-friendly interface with a survey document in the process of being coded. The highlighted text in the centre is the coded text and you can see the code system on the bottom left. Coding is done by highlighting the text and drag and dropping the text into the appropriate code. Often projects are worked on in teams. MAXQDA makes this easy with features including user management, memos and a logbook. User management enables a person to be set as the administrator for a project. 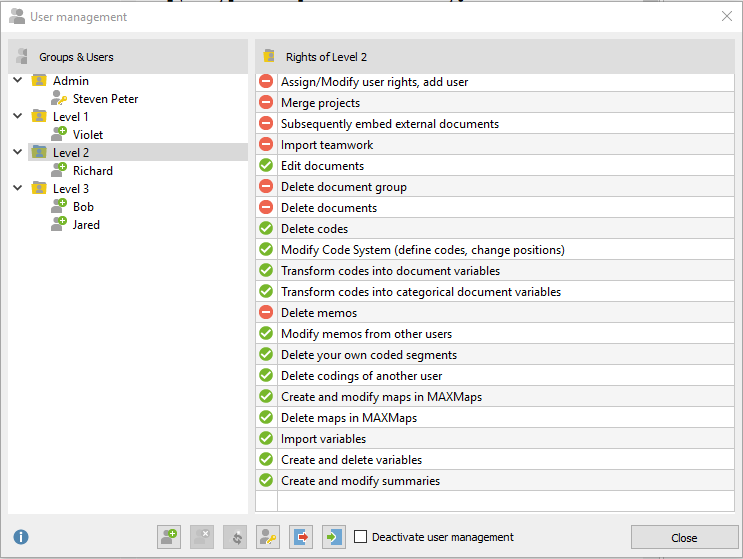 The administrator is able to add new users to a project, set the user rights and remove old users. This is done through the User Management button in the ribbon along the top. 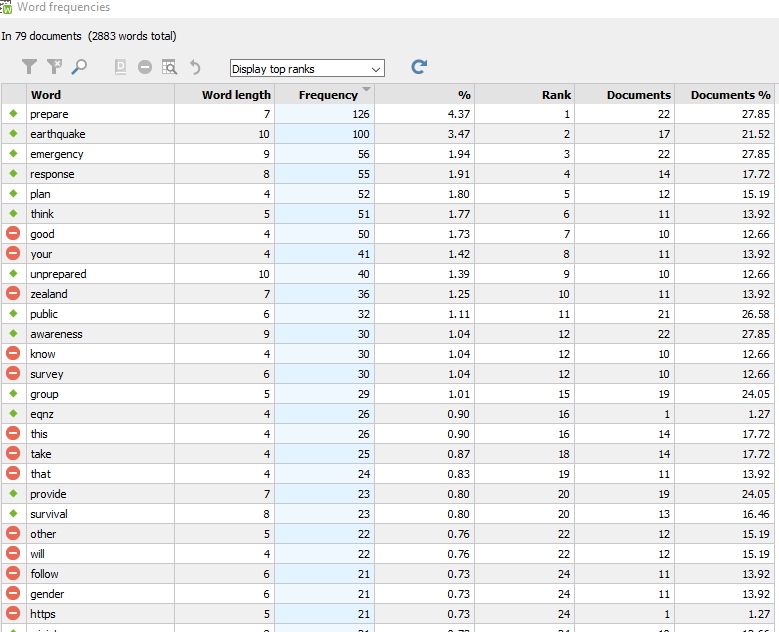 One tip for developing your codes and establishing keywords is to do a word frequency analysis over your raw data. MAXQDA has some awesome tools to aid this. 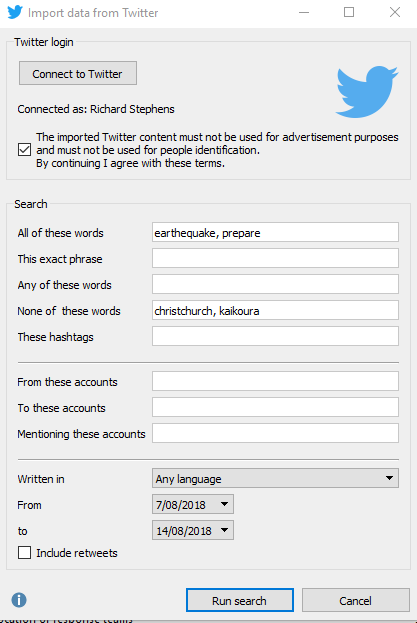 It can present word frequencies as a table or word cloud and you can add words to a stop list removing them from the analysis. You are also able to group similar words and phrases together by dragging and dropping them. 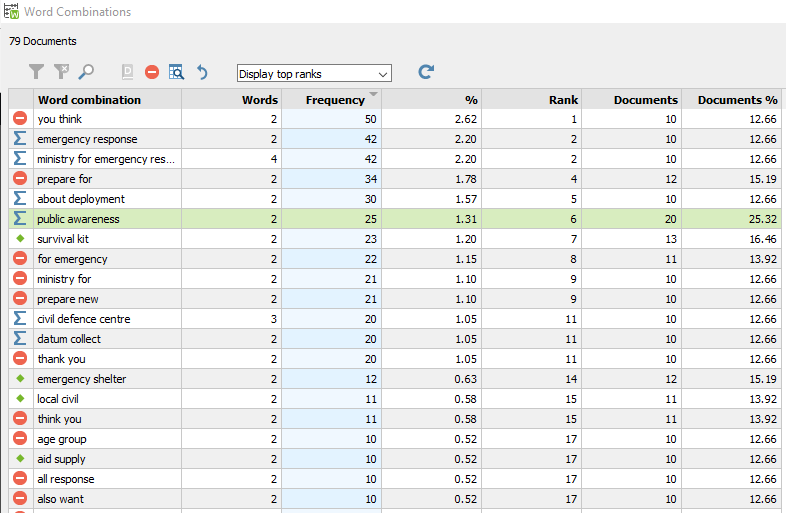 You can take the frequency analysis further by doing an analysis based on word combinations as well as search for keywords in context. Memos allow researchers and team members to leave notes associated with codes or documents. In the memo below you can see a researcher has noted a potential follow up question. Memos could also be used to define codes i.e. what terms or phrases are captured by the code. This increases the reliability of coding. The logbook can be used to record who has accessed the project file, when and what work was done as in the example below or other notes. 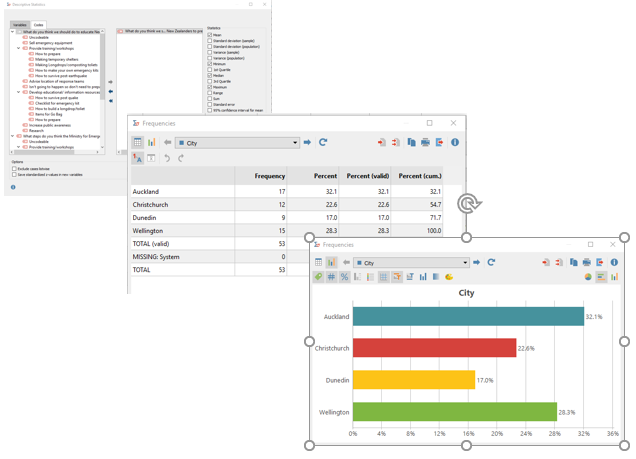 MAXQDA has a number of inbuilt analysis tools including a statistics package. This allows you to create a vast array of visualisations and exports.